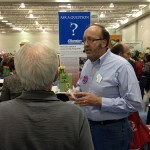 The Master Gardener program is more than a horticulture class or a garden club. 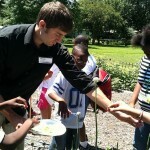 It is a volunteer program that enables participants to serve their communities as horticultural educators. 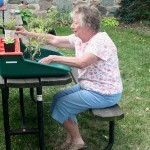 Not only do UW-Extension Master Gardener Volunteers increase their knowledge of horticulture, but the can also develop communication, management, and leadership skills that can be used in all aspects of life. Volunteering is a privilege, not a right, and can be one of the most rewarding experiences in life, having a positive effect on your community and yourself. According to the Bureau of Labor Statistics, more than 59 million Americans volunteer annually through charitable organizations. MGVs return incredible numbers of volunteers annually to their communities. As a MGV you will join the UW-Extension family of volunteers, and these millions of other people, by volunteering your time and expertise in many ways for community programs and activities. Depending on which county you take MG training, you may be involved with a large, well-established MG program that already has numerous approved projects just waiting for people to participate in. In other counties, you may work with the county UW-Extension educator to uncover a need in the community and develop a volunteer project in response. Please contact your county educator or program coordinator for a specific list of approved projects available for you. 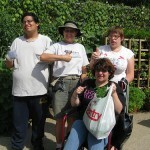 Preparation of and presentations at demonstration sites, at fair or show booths, etc. Speaking on gardening and environmental subjects to identified audiences such as garden clubs, school groups, homeowner associations, or church groups as part of workshops, classes or meetings. 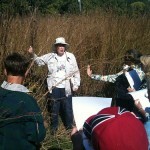 Shirley trains other volunteers on how to identify different prairie plants for part of a youth education program. 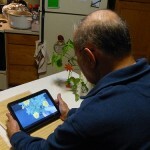 Study the lectures from the comfort of your own home with any computer or tablet. 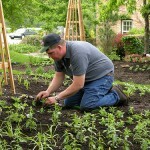 Jody installs transplants at one of Rotary Botanical Garden’s displays. 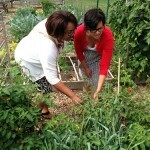 Shelly and Erin taste tomatoes at the Taylor County UW-Extension community garden.